US 50W,lt on SR56 thru Rising Sun to SR156,rt on N Landing,lt on Antioch,rt on SR250,lt on Hominey Rdg. Price reduced on this country home w/ 4 bd, 2 ba on 3.39 acres that overlooks neighboring pond. New flooring throughout. Also has new water heater & water softener. All appliances stay along w/ swing set. 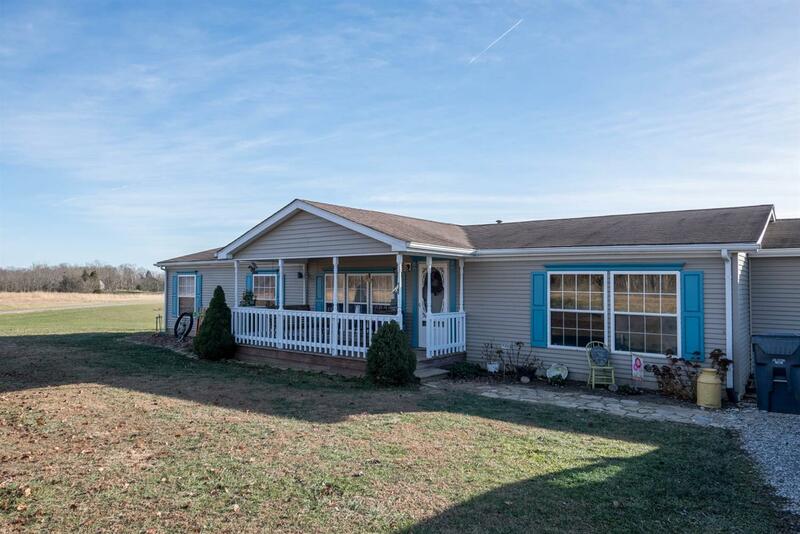 Other features include a covered front porch, lrg deck & plenty of parking - 3+ cars plus RV parking. Fenced pasture for a couple of horses/cows.